On to the fifth and final part of my project. I bought the frame. I ordered parts. I had it welded. I assembled it. I test rode it. I disassembled it. Which brings us here, to paint. 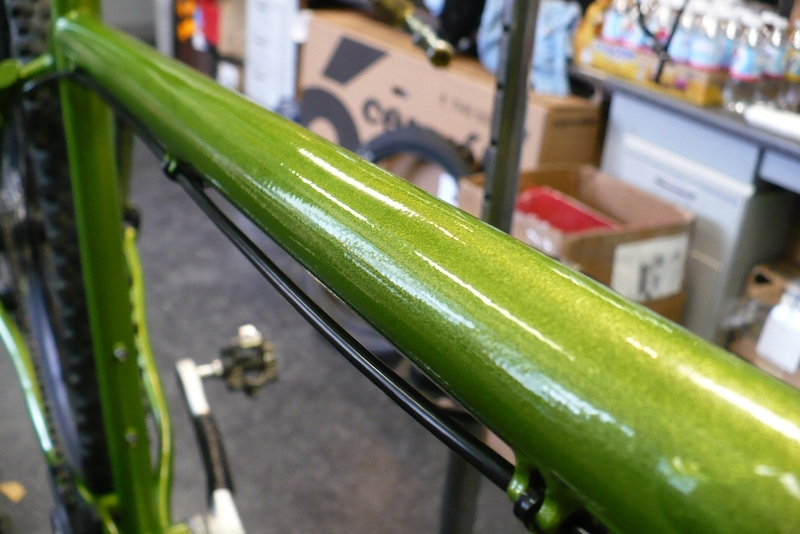 In the past I’ve owned plenty of bikes that had standard wet paint. 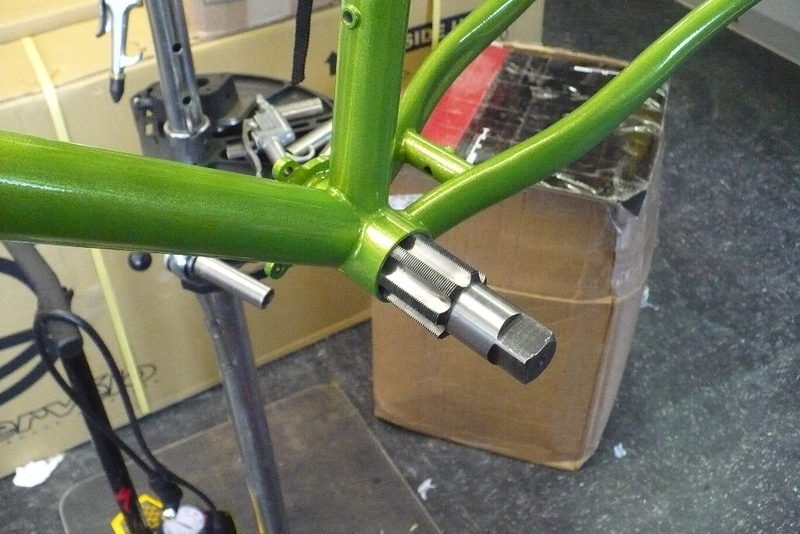 I had a frame that was anodized. 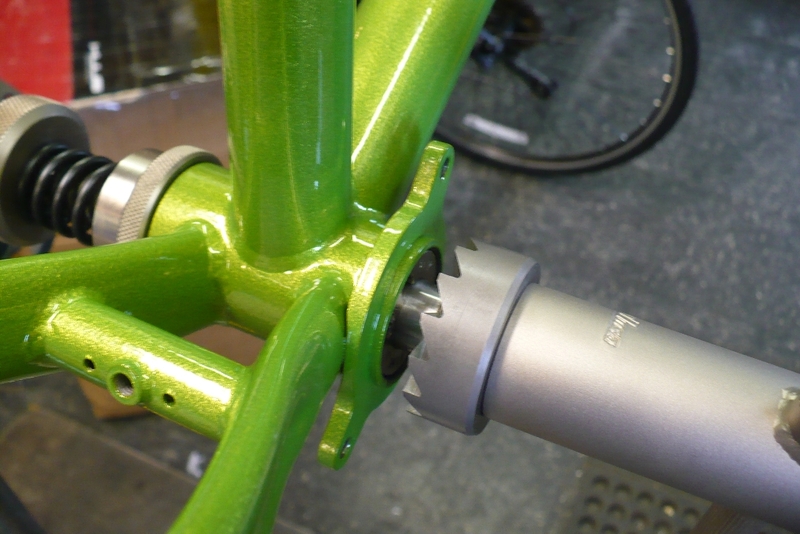 But I’ve never had one that was powdercoated. For this job it seemed like the best bet. 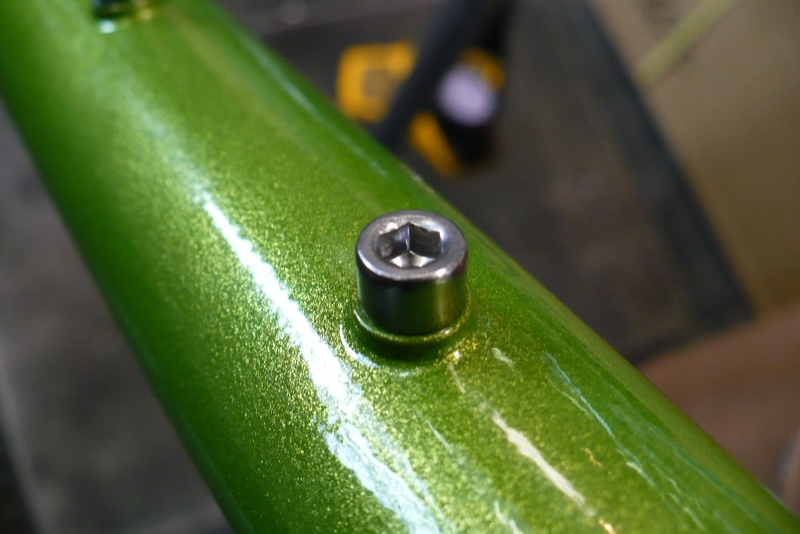 There aren’t many commercial anodizing outfits around. And wet paint isn’t very durable. 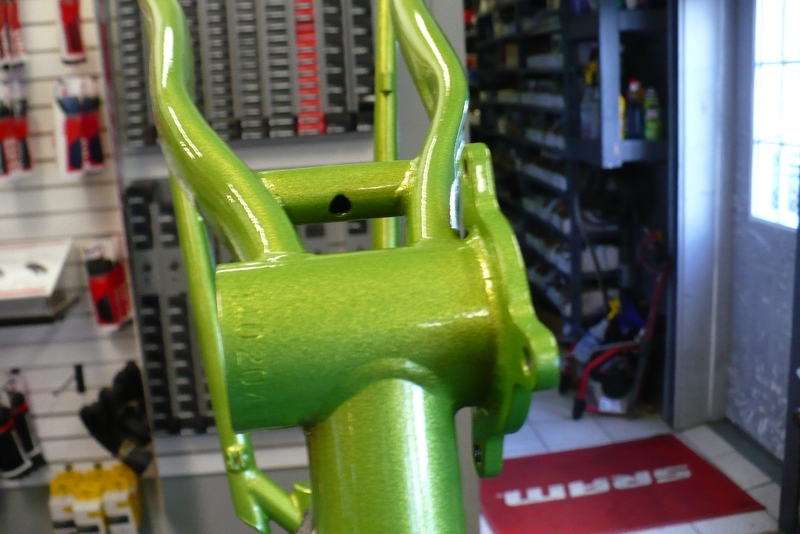 Powdercoating is a hard durable finish and powdercoaters run abundant. 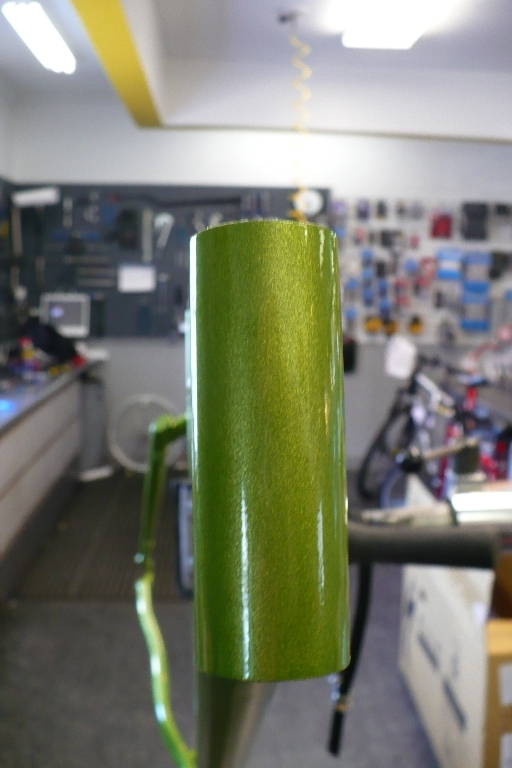 The color is called Granny Smith Green. 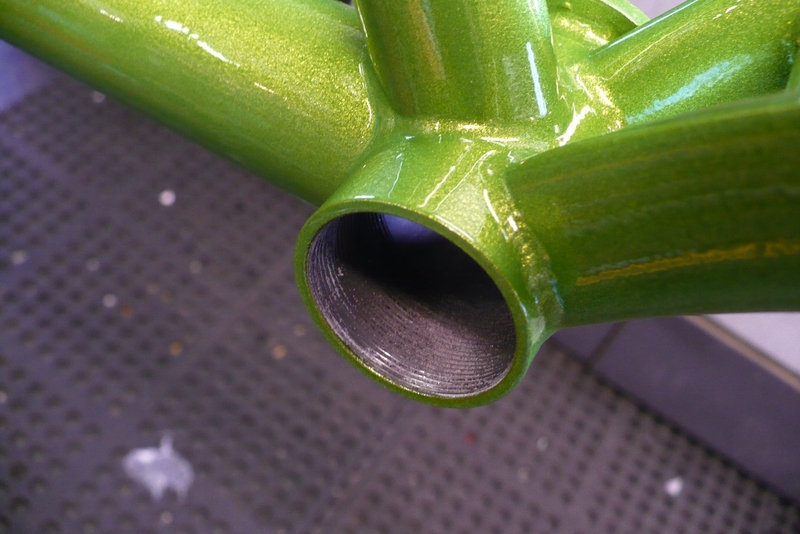 It’s a two stage coating: a base coat followed by a clear. 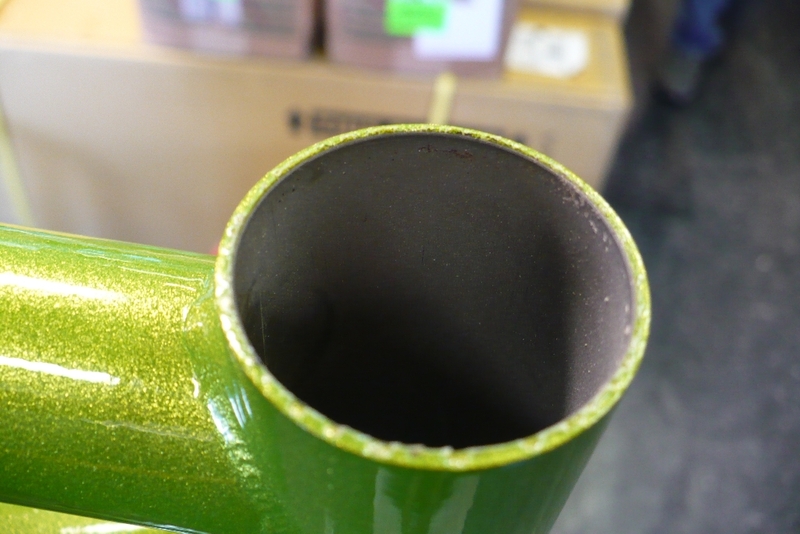 The base coat is what’s called a dormant color – it goes on really dark and looks downright horrible. 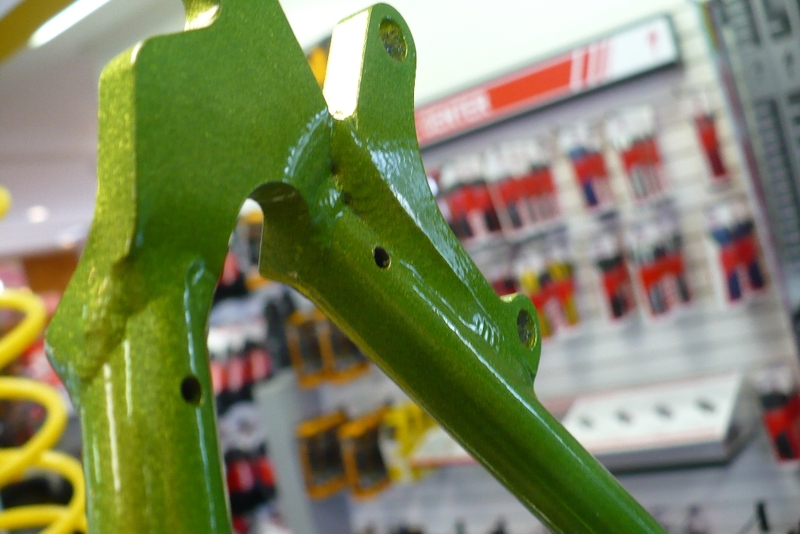 The clear coat makes everything come alive, brightens it up and brings out the metallic sparkle. 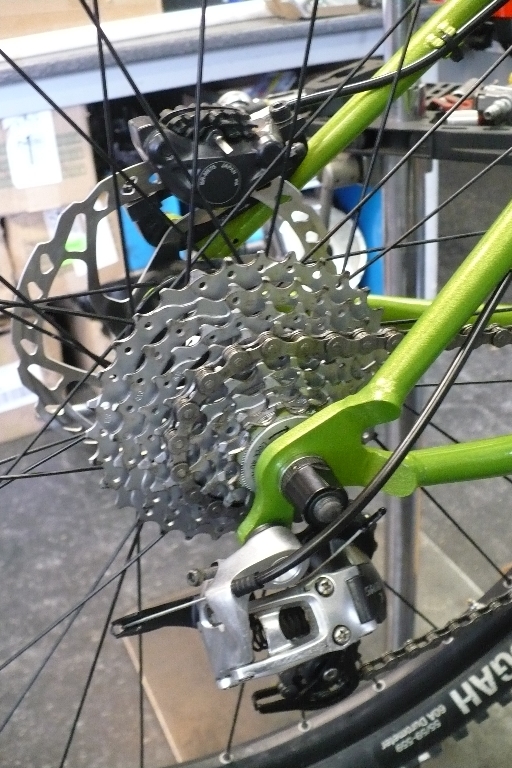 Finding a company that is familiar with bikes is key. 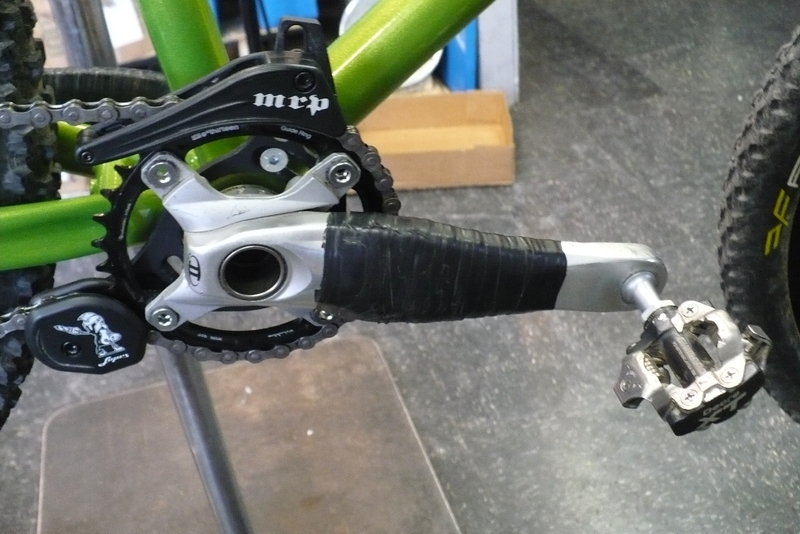 A couple minutes of extra preparation taping things off is the difference between installing parts and spending hours reaming and facing – especially with such a hard durable finish. Price is secondary – I believe that you save money by doing the job right the first time. The first place I stopped was K&S Powdercoating in Poughkeepsie, NY. 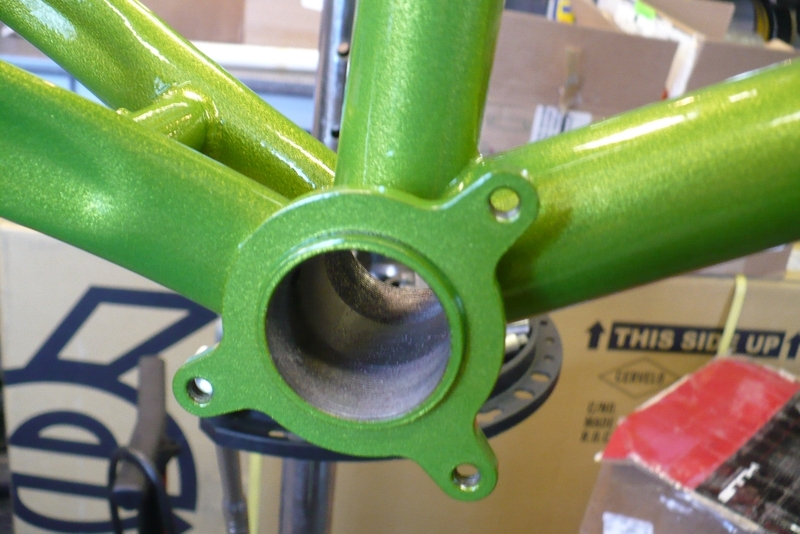 They had the color in stock and Tim quoted me $225 for blasting, prep and powdercoating. 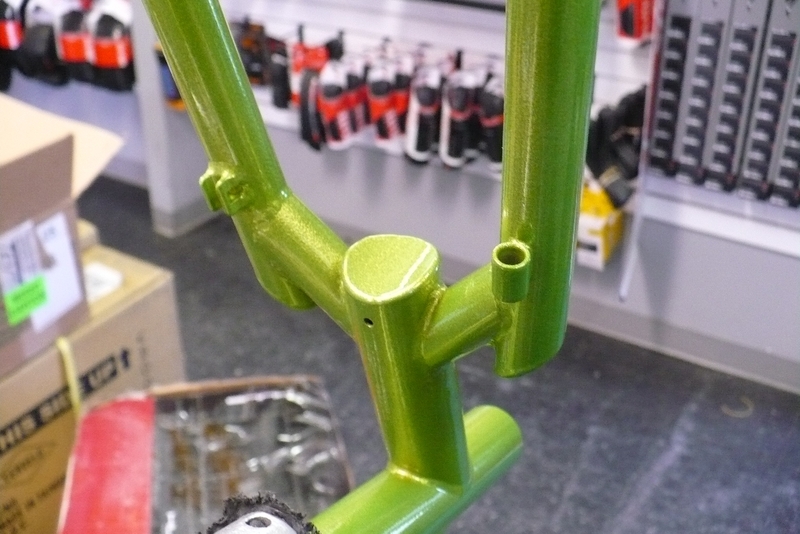 They’ve done bikes before and received favorable reviews from some customers who had work done there.The second outfit I spoke to was Precision Powdercoating in Connecticut. I emailed John on a Sunday night and he replied back several minutes later. 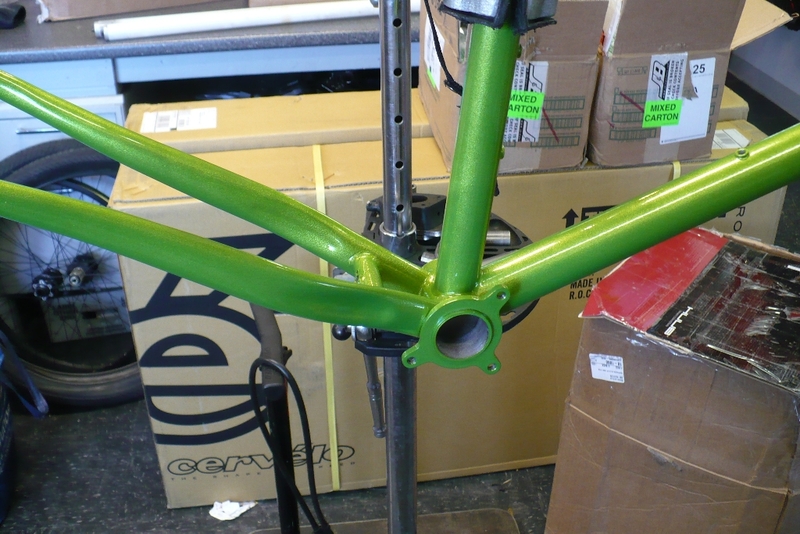 He also had experience with bikes, had my color in stock and quoted me $160 for blasting and coating. The only downside is that he’s located almost two hours from where I live. I also spoke with a third company, but wasn’t impressed with their operation and didn’t even get a quote. Since they were local I went with K&S. Dropped the frame off on a Wednesday and it was done the next day. Super impressive. 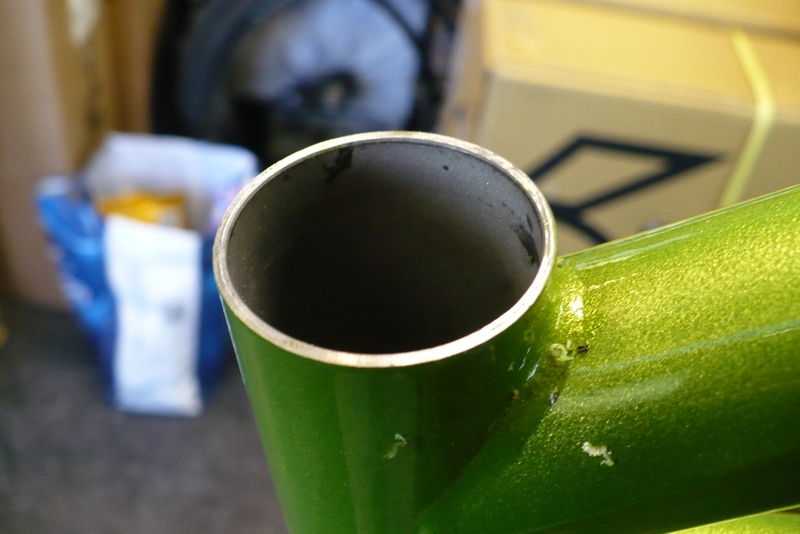 I also faced the head tube. No reaming required here. 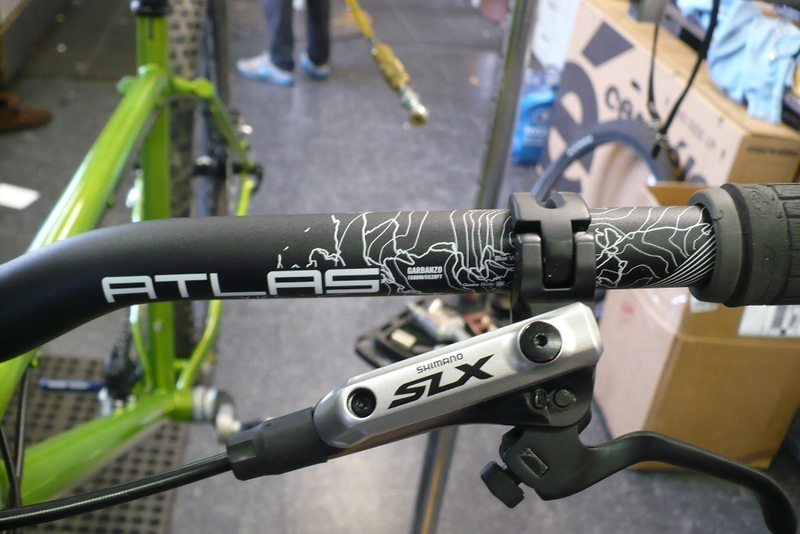 I added new RaceFace Atlas bars, which even at 785mm wide are still 30g lighter than the Bontrager bar I had on there (690mm, 370g). 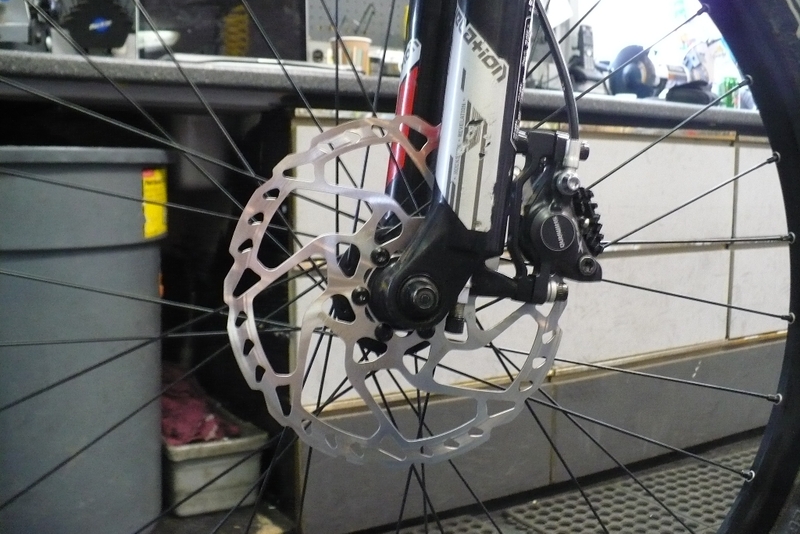 I also added new SLX rotors, trimmed the brake hoses to fit and added a chainstay protector. 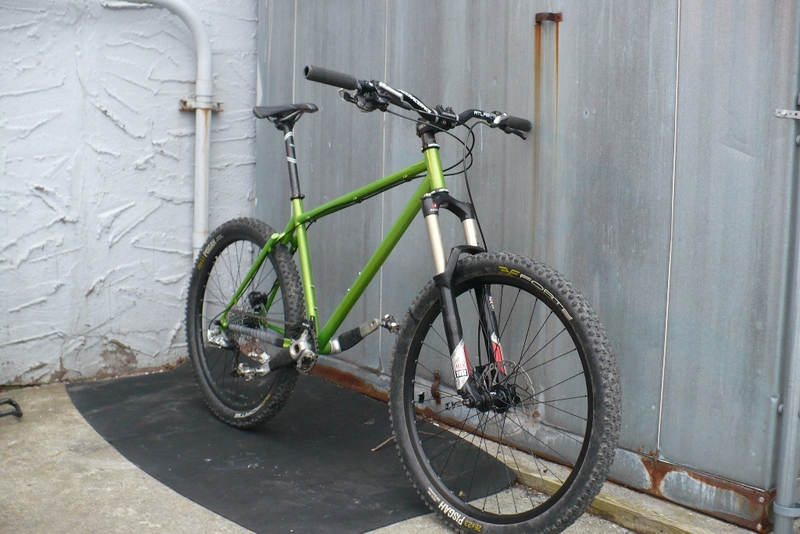 Weight is 27.64lbs with XT pedals.I would love to say that the bike is finished, but it’s not. 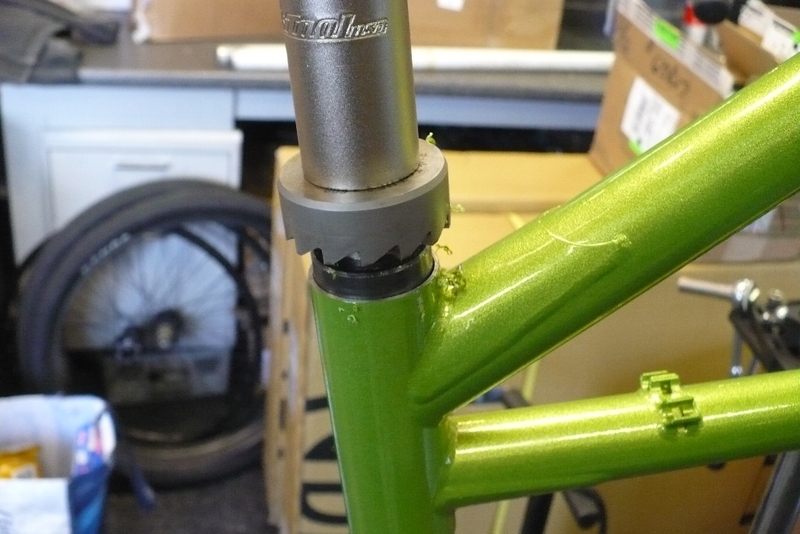 I have a 60mm stem on there, mostly because it’s black. 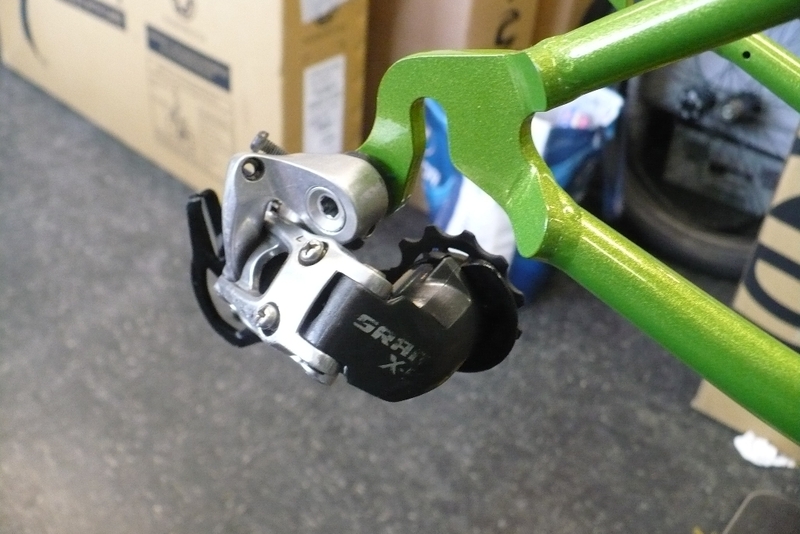 In reality I’ll probably order a black 40mm stem since that’s what I’m used to (I have a white one) and it just feels ‘right.’ I’d like lighter tires to differentiate this from my fully – most likely Nobby Nics in a 2.25, tubeless. 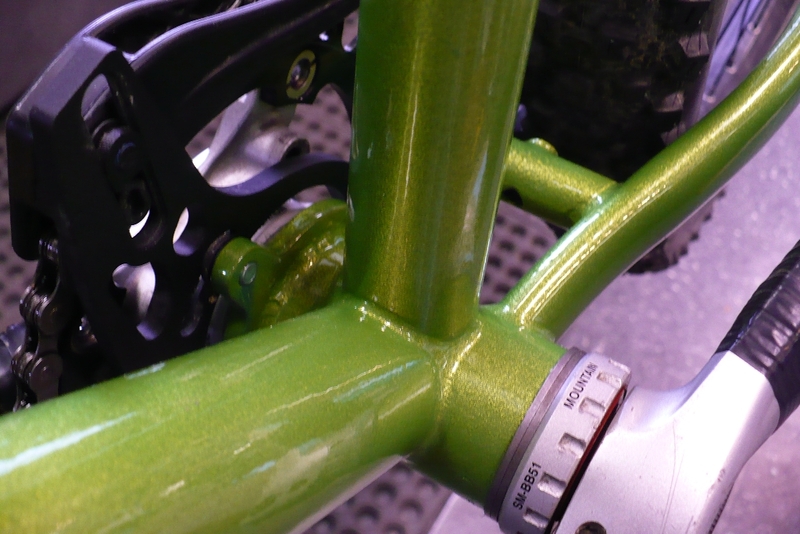 And the red decals on the Revelation clash with my green frame – perhaps I’ll get some green ones made up! Chris is a digital marketing consultant specializing in SEO and Analytics across industries including healthcare, education, finance and others.